Celebrate Osuna 2017 photos here. Rancho Santa Fe is home to one of California’s oldest adobe homes. The nearly 200-year-old adobe sits on a 27-acre property known as the Osuna Ranch. The ranch, which was purchased by the Rancho Santa Fe Association in 2006 for preservation, includes a working equestrian facility along with the adobe. The adobe dates back to the 1830s. The site was acquired in 1836 by Juan Osuna as a part of an 8,824-acre land grant called Rancho San Dieguito. In the 1860s, the Osuna family expanded the adobe by adding a sleeping porch and living room to the original two-bedroom structure. The adobe remained in that configuration until the property was purchased by the Santa Fe Land Improvement Company in 1906. By the early 1920s, the adobe had fallen into disrepair and was remodeled in 1924 by noted architect Rancho Santa Fe architect Lilian Rice. The Osuna Ranch property offers a glimpse into many bygone eras, including the Kumeyaay era, the Mexican Rancho period, the Mexican American War and the Railroad era through today. The natural setting includes wildlife and plants that have flourished in the area for hundreds of years. The plants are a lesson themselves in indigenous, drought-tolerant varieties that thrive in this natural environment. The Osuna Ranch Committee oversees preservation, enhancement and promotion of the property and adobe. The adobe and property is open to all Covenant property owners. The adobe is a living history lesson for local students, who visit the adobe. Third graders studying local history take guided tours of the site and make bricks using traditional methods. School classes, scouting groups, socials groups and families are invited to the site for picnicking, tours, special events or other uses. To get information on using the Osuna Ranch site for a group or an event, please use the online form or contact Arnold Keene, Field Operations Manager, at (858) 756-1174. The ranch is still used for boarding of horses, with grazing available in the grassy pastures on the site. Operated by the Rancho Santa Fe Association, Covenant residents are given priority for stalls (priced at $790–$1,150) and paddocks ($640–$715). 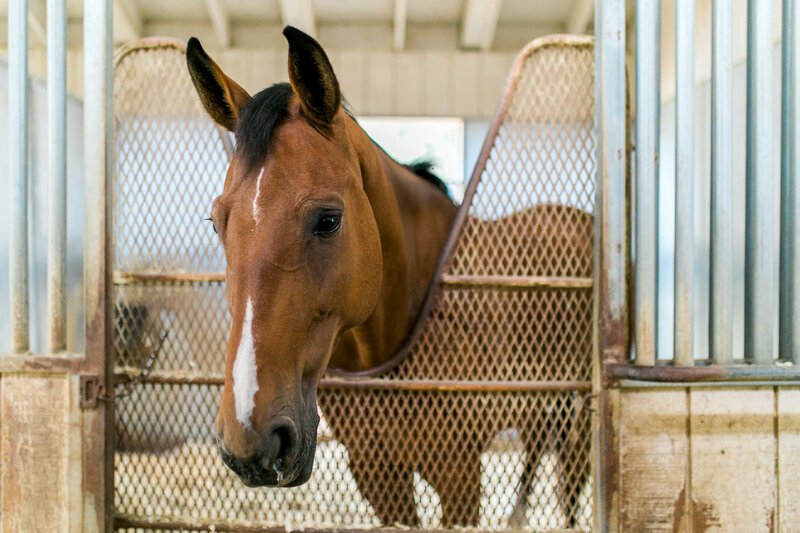 Most horses are in training or under care of Hap Hansen’s Stables. Two arenas are available and residents have access to the many miles of horse trails in the Covenant. For information on horse boarding, please use the online form.